producing cables with the best technical skills and expertise in order to satisfy stable performance and quality requirement. 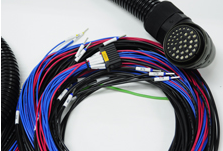 During 10 years, DAEGUN is the leading company produces industrial cables, cable assembly, and wire harness in all sorts of big equipment (CNC, control panel, electric discharge machine, industrial equipment), and tries to satisfy to customers’ exacting requirement, and only the goods, which is passed the strict efficiency test, can be supplied to customers. We are producing more stable and reliable cable assembly if you compare to other products which are distributed nowadays. DAEGUN develops and produces cable assembly, harness, and test equipment in Defense Industry with unfailing precision. 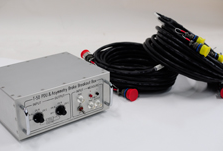 Also, producing exclusive test equipment such as Breakout Box, Portable- Aircraft Relays, Test Equipment for Hydraulic System, and Rotor Defroster Terrestrial Function Test Utilzation Equipment for supersonic high trainer (T-50), basic trainer (KT-1), and localized maneuver helicopter (KUH-Surion). 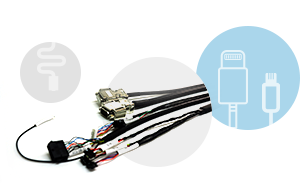 DEAGUN TECHNOLOGY proceeds all processes of Chip Mounter equipment and produces all cables, cable assemblies and harnesses into Chip Mounter equipment. Also, supplies perfect and stable cables to customers because DAEGUN passed the SAMSUNG’s inspection and self-inspection of power cable assembly, vision cable assembly, flat cable assembly, and cable assembly for sensor of air solenoid valve, etc.Moreover, supplies perfect and stable cables in purpose of home appliances. We will keep improving and developing customers’ equipment performance with well-caredindustrial cables with stability and technique. DAEGUN is producing machine tool cables mainly into Doosan high precision processing tool machine’s cable, cable assembly, and cable harness. 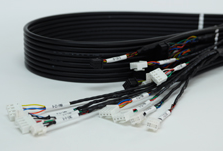 In order to produce good quality cables, all the works with one accord to make durable and stable cables. DAEGUN has the best technique and productivity in order to make simple, complicated, and various cable assemblies.